There are several ongoing initiatives that aim at standardizing protocols and interfaces in order to enable a truly interoperable Internet of Things. On the protocol front, I would certainly argue that the technology is already there and over the last decade standards organizations like OASIS, IETF or the Bluetooth SIG have done a lot to provide clear specifications for, respectively, MQTT, CoAP, or Bluetooth Smart. Not only are these protocols mature, but they really are optimized for the constrained networks that make IoT. And of course, there is an always growing ecosystem of open-source implementations. Provisioning: it is important to be able to provision a brand-new device on an existing IoT network, and to be able to associate all the required security credentials that will make it able to speak with its peers. Security at the transport layer is one thing, having access to a flexible model for configuring secured communication channels is another, that initiatives like LwM2M or IoTivity are trying to address. While it is hard to tell what will become *the* standard for IoT between AllJoyn, OIC, now Google with Weave – and certainly many others – it is however interesting to start evaluating the pros and cons of all these solutions. Interesting fact: since most of these initiatives are embracing existing protocols like CoAP or MQTT, it’s actually pretty easy to start coupling them to the Eclipse IoT technology. 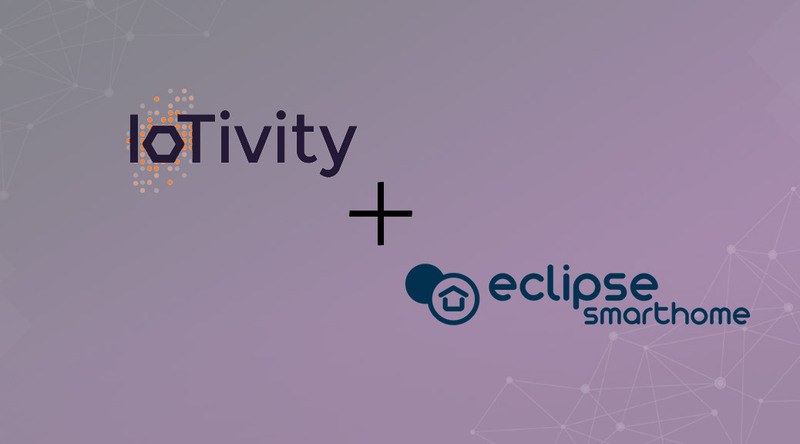 In the video below, you will see how you can interact with IoTivity-compatible devices from Eclipse Smarthome, thanks to a dedicated binding1 which you can find here. 1. Please note that this is absolutely not production-ready 🙂 The OIC standard isn’t publicly available so this implementation is only covering basic use cases featured in the IoTivity examples. Also, this binding uses a slightly patched version of Californium to allow for multicast CoAP communications. It’s amazing to me that you can discuss discovery and interoperability without even mentioning OSGi Remote Services and ECF’s implementation. The specification standardizes service discovery and distribution meta-data, and ECF’s open implementation already supports multiple transports for both discovery and distribution. For example, it uses Paho for MQTT support. Scott, there are tons of technologies out there that allow discovery, and it’s never been my intention with this blog post to mention them all. OSGi Remote Services and ECF are certainly another interesting approach… among many others. Where can i find your changes for coap multicast support?